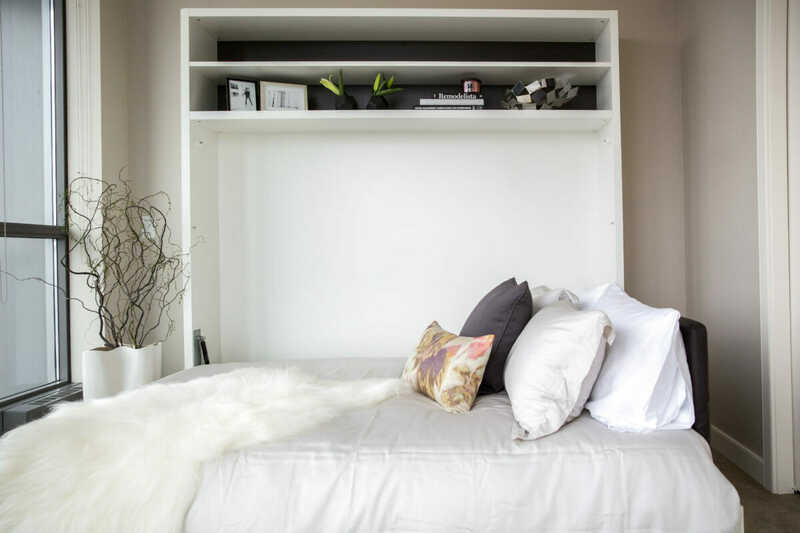 You don’t need a large, single family home with a designated guest bedroom to be an excellent host — with a little creativity, homes of virtually any size can accommodate guests (Graham Hill even managed to fit a guest bed in his 200-square-foot Soho apartment). Your home office, media room, or (finished) basement or attic can work as a guest room with transforming and multi-functional furniture, like storage beds, wall beds, or day beds. 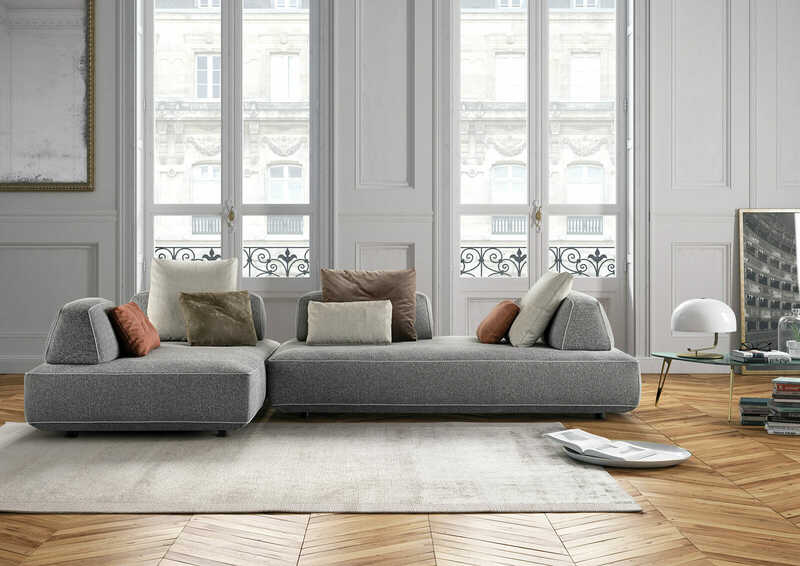 The Flex modular sofa, for instance, features movable backrests and reconfigurable sofa islands, so it can be used as a sofa, day bed, or chaise lounge. For the truly space-starved entertainer, wall beds are an ideal solution. 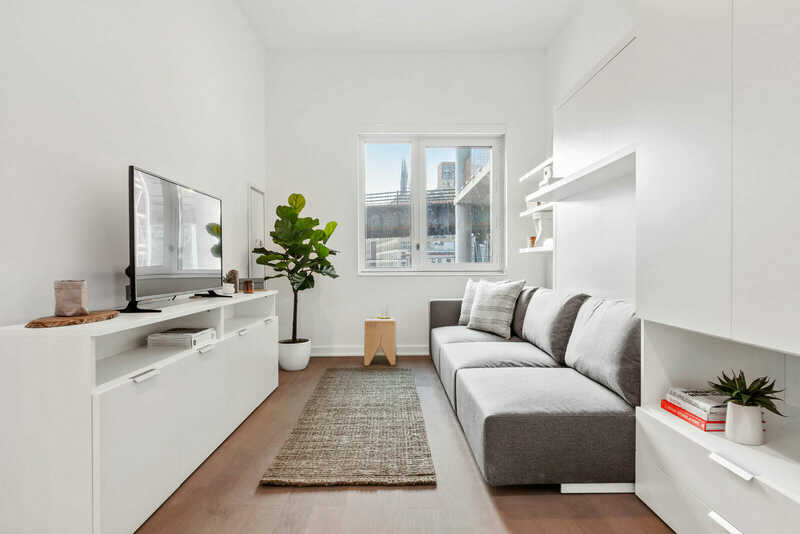 With lots of additional features like built-in sofa seating, desks, and dining tables, a wall bed provides the functionality of an extra room. 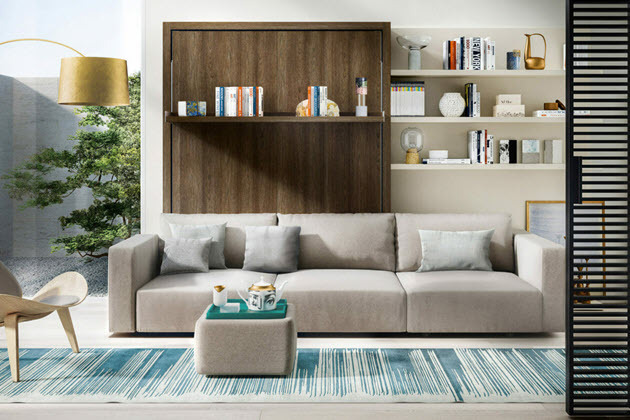 The Swing, for example, features integrated sectional seating when closed, opening to reveal a queen-sized wall bed for guests. Similarly, the Adam Tavolo features a full-length, integrated writing desk when closed and a queen bed when open, allowing your guest room to seamlessly transition to a home office in seconds. Because you aren’t resting there every night, it’s easy to overlook those small, finishing touches that make for an exceptionally comfortable guest bedroom — like high-quality bedding. Adding a variety of throw pillows, quilts and throw blankets will go a long way towards upping the comfort factor; they also allows guests to find their perfect sleeping temperatures — not to mention, they make for great décor. 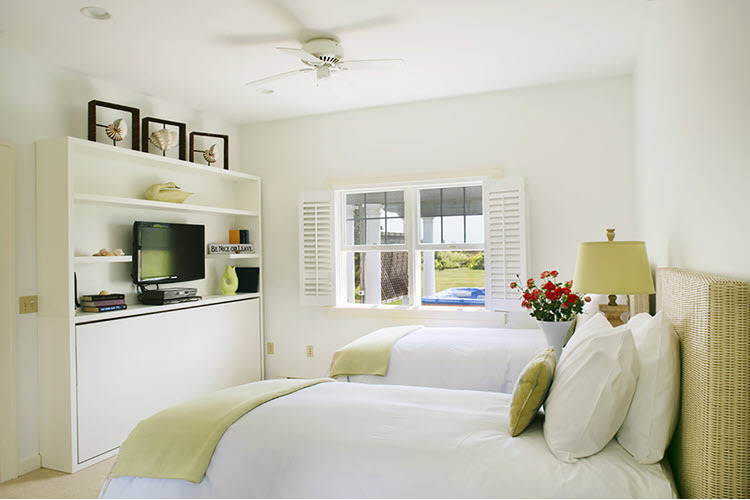 Bedding is especially important if you’re furnishing your guest space for vacation rental income. High thread count sheets, attractive pillowcases, and a heavy down comforter will give your guest room a hotel-like quality that sets your space apart from other vacation rental units on the market. 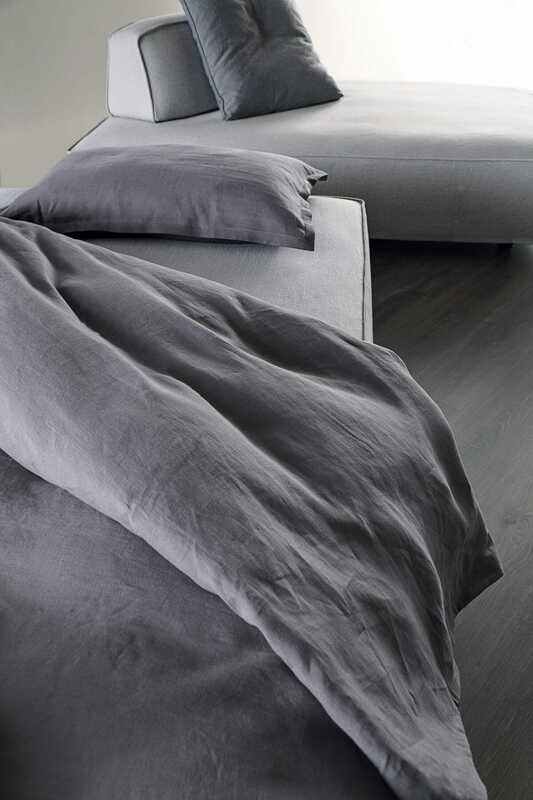 Of course, even the most luxurious hotel bedding can’t disguise a squeaky bed-frame or an old, worn mattress. Invest in a quality, medium-firm, memory foam mattress, as they appeal to many different types of sleepers. All Resource wall beds are sold with Italian-made Magniflex mattresses that adapt to the sleeper’s body heat and weight, self-adjusting to your guests’ optimal comfort level. No more guess-work involved in guest mattress shopping! If you’re hosting guests, it’s likely they’re visiting for a special occasion. A full-length mirror is an obvious essential for anyone dressing up for a big event. 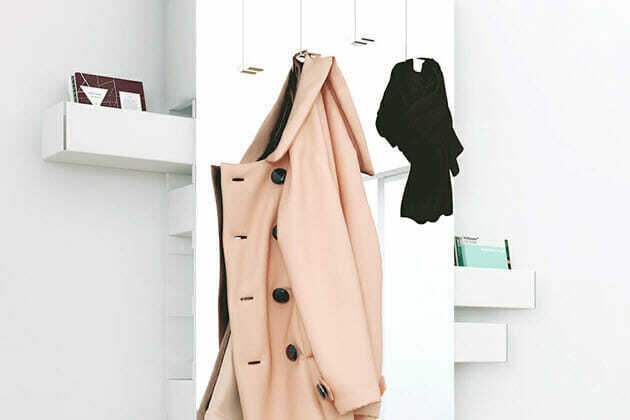 Bonus points if your mirror includes clothing hooks for hats, coats, bags, or ties. 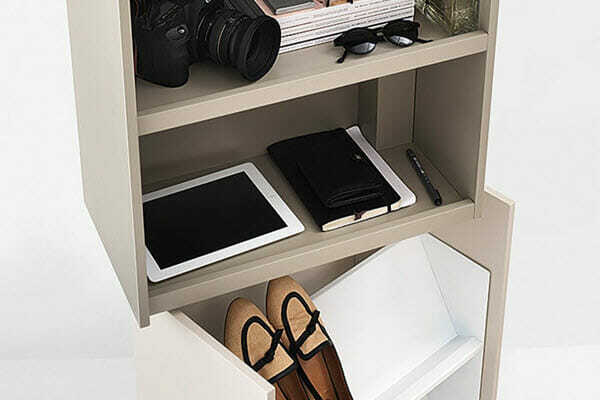 When guests are in town for a formal occasion, the more clothing storage, the better. 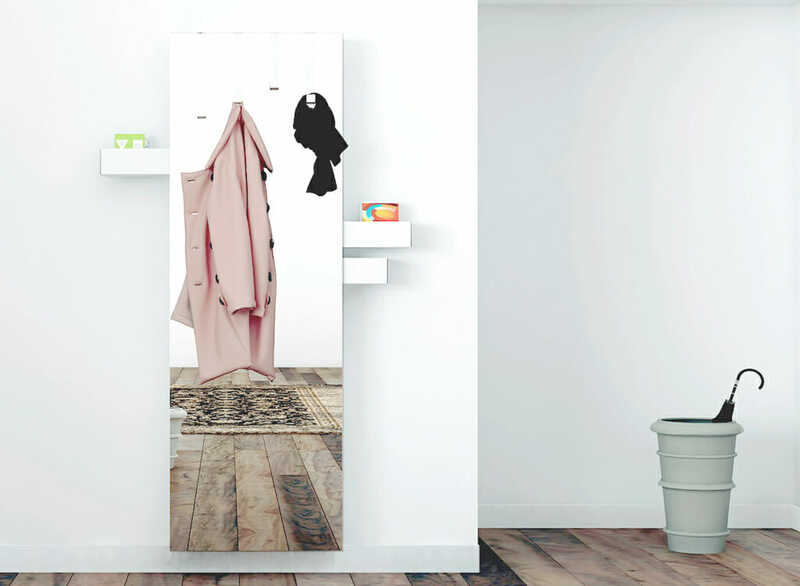 The Betty storage mirror is an excellent piece for guest rooms with its removable coat hangers and built-in sliding drawers on the sides for jewelry and other accessories. Take more cues from hotels: stock your guest space with essential amenities, like travel-sized toiletries and stacks of fresh towels. Even if your guest room doesn’t have an en suite, every traveler will appreciate the gesture — and providing a supply of toiletries means guests won’t have to go rummaging through your bathroom vanity and linen closets in search of a spare tube of toothpaste! To go the extra mile, keep a small coffee station in your guest room. Stock a console table with a coffee maker or kettle and add some coffee pods, teabags, and mugs. Place a small stack of books and magazines nearby, and invite your guests to relax with a hot beverage and a good read. Note: when it comes to guest rooms, consoles are an invaluable piece of furniture — not only do they make for great beverages stations, but they’re a great place for your guests to unpack. We’ve all been there: You finally arrive at your destination, crawl into your guest bed, and pull out your phone for some late-night scrolling when you realize — you’re without Wi-Fi! And where are those pesky power outlets, anyway? Be a super-host and relieve your guests of this small but all-too-common annoyance. Place a device station in your guest room, complete with a power strip, spare phone chargers, and your Wi-Fi password. For an added décor factor, take inspiration from Pinterest and display your Wi-Fi password on a lightbox, chalkboard, or bulletin board. 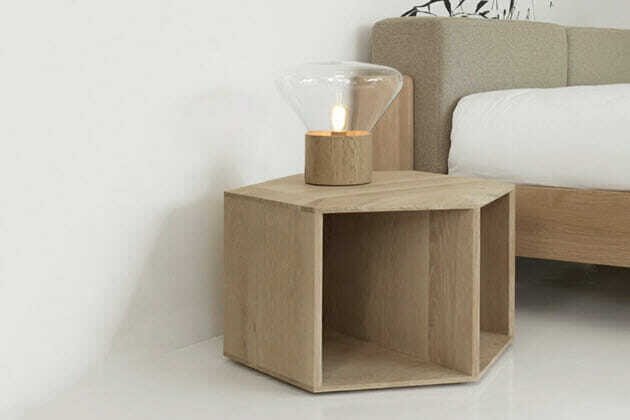 Keep your device station on a bedside table; the sleek Hexa side table offers a deep inner shelf for discretely storing charging devices at night. Never again will your guests have to crawl around furniture on their hands and knees, hunting for outlets! Organization (n) ˌȯr-gə-nə-ˈzā-shən: defined culturally as a key characteristic to success and easy living.